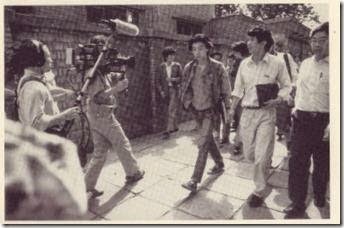 Xiang Xiaoji (second from right), Shen Tong (third from right) and others on their way to submit dialogue petition. 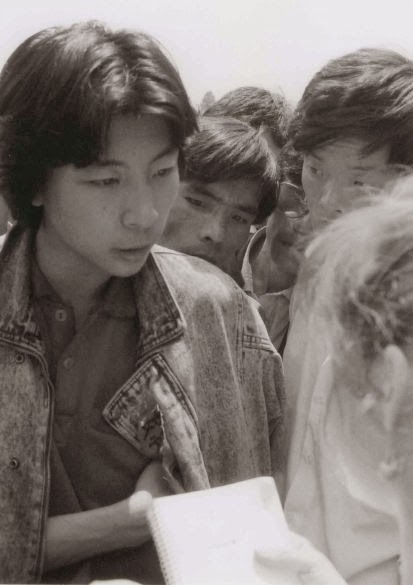 Shen Tong (right) distributes petition to foreign reporters. 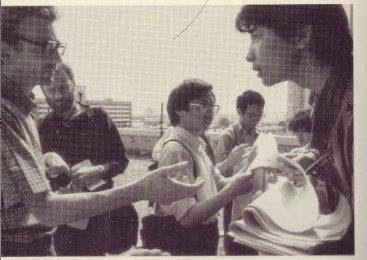 Shen Tong (left) talks to foreign reporters. Posters in Peking University call for continued class strike. 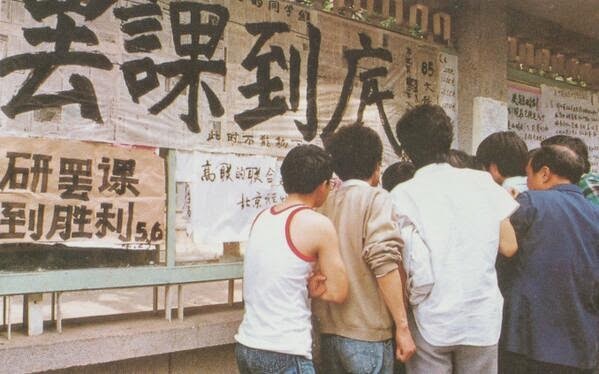 Students at Peking University read posters calling for continued class strike.